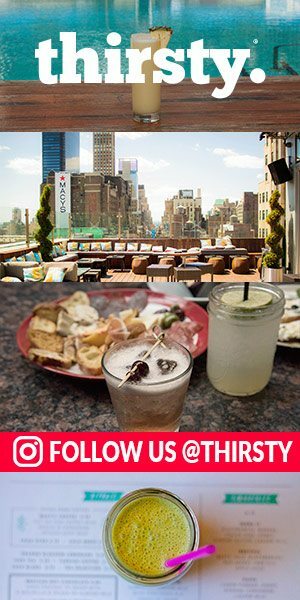 Secret Summer - The Ultimate Cocktail Soiree | thirsty. Can you believe it, Secret Summer came and went for its second year already? 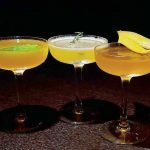 On Sunday, August 14th, bohemian chic New Yorkers gathered at the historic Foundry in Long Island City to celebrate New York’s first and only farm-to-bar cocktail festival. Upon entering the main archway of the beautifully restored 19th-century “brick Xanadu,” stood New York-based duo, Coyote and Crow strumming along handmade banjos. Food trucks, Big D’s Grub Truck and Eddie’s Pizza were situated in the left corner of the courtyard dishing out ‘grinders’ and thin-crust pizzas. Across the courtyard, Van Leeuwan served free vegan ice-cream cones from their obvious yellow truck parked straight ahead. SPiN ping-pong tables were lined up along the lush-ivy wall for guests to show off their beer pong skills. Live performances from the Secret Summer Street Ballet team and six-man jazz band, Lucky Chops went down in the center of the cobblestone courtyard. Five rooms of The Foundry were open to guests. Each room served signature “farm-to-bar” libations crafted with the season’s freshest ingredients from Farm.One hydroponic gardens located here in New York City – Ingredients used ranged from allspice falernum and toasted pecan saspirilla for mixing to hibiscus powder and purple ruffles basil for garnishing. 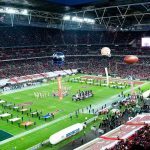 Top beverage sponsors, Finlandia Vodka, Jack Daniel’s Gentleman Jack, Herradura Tequila and Woodford Reserve certainly added to the ultimate cocktail experience. 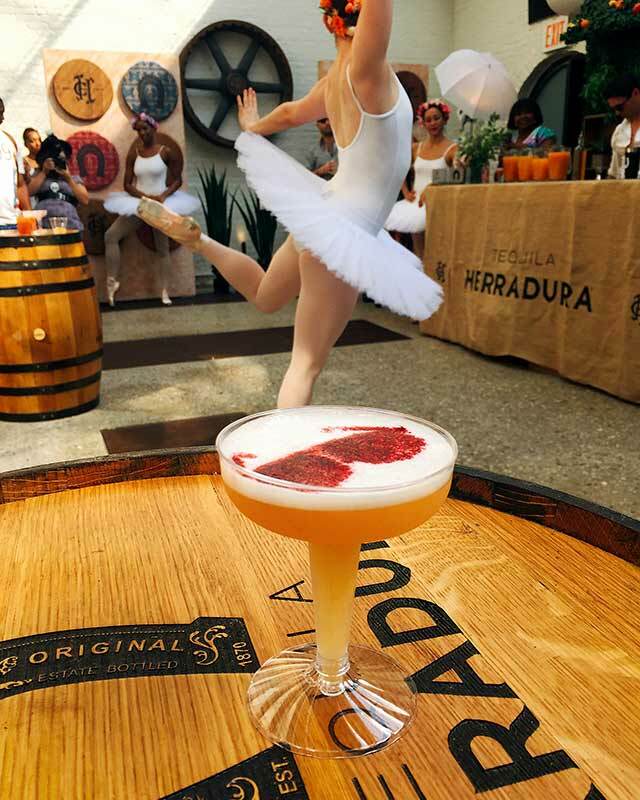 Check the guide below to see what you missed seeing and sipping. 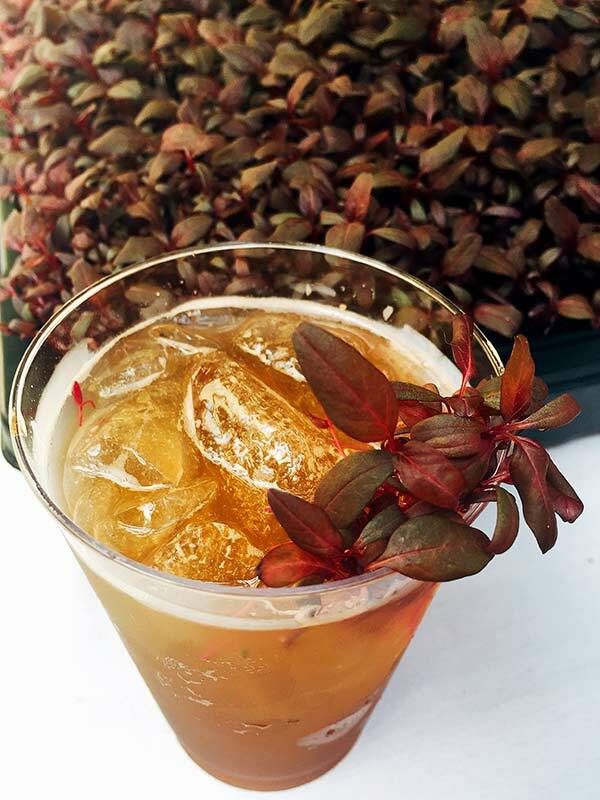 Butter-washed Old Forester, Toasted-pecan Sarsaparilla & Micro-bubble Soda – Topped with freshly-cut ‘Farm.One’ Amaranth. Perfect for peanut lovers! 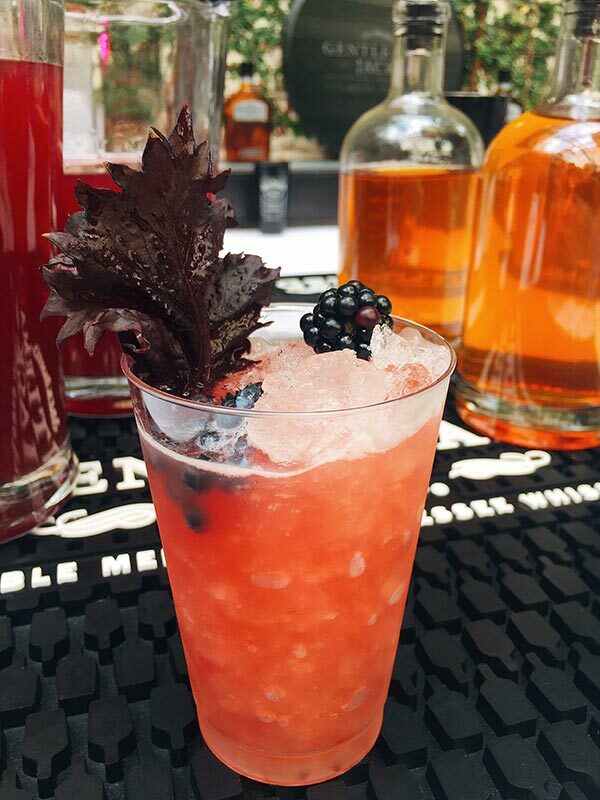 If you enjoy Gentleman Jack, vote for your favorite Gentleman Jack cocktail by market, in our first Craft Bartender Series sponsored by Jack Daniel’s. Visit our craft bartender series here. 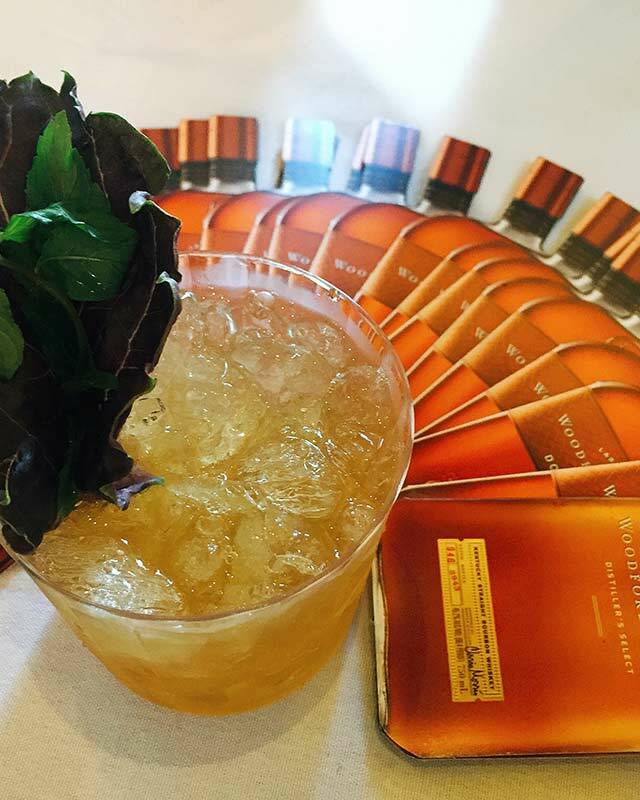 Ingredients: Woodford Reserve Bourbon Whisky, ‘Farm.One’ Cinnamon Basil-steeped Honey & House-made Bergamot Bitters – Folded ‘Farm.One’ Purple Ruffles Basil & Peppermint to active your senses. Enjoy with jcoco Arabica Cherry Espresso Chocolate. DIY? Here’s what the folks of RAPT & Highlife brought to us. Fill an old-fashioned with ice, add bourbon, add syrup, bitters. Stir to combine, and top with peppermint & basil. 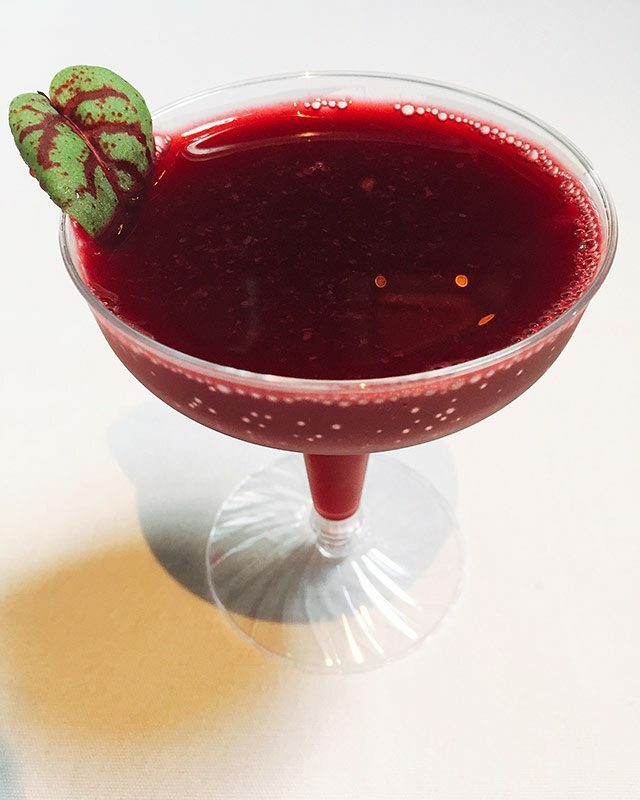 Shake all ingredients, and strain into a cocktail coupe; Garnish with Sorrel.